Even though we are still waiting for winter to arrive here in Tuscany, we can't ignore the fact that it's almost Christmas and sweater weather is definitely coming. 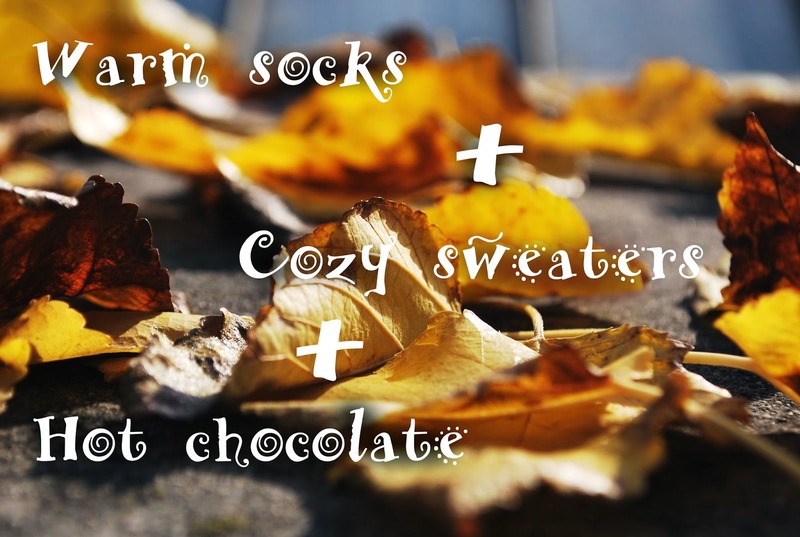 After a weird and incredibly rainy fall I can't wait to wear chunky knits, warm socks and soft scarves and drink hot chocolate with home made coffee cake. Here's hoping that the rain stops and real winter arrives. I've selected a few really awesome cozy pieces for you guys as an inspiration for the cold months. Let me know which ones you like best! Anche se qui in Toscana ancora siamo praticamente in autunno, sappiamo tutti che il Natale e il tempo dei maglioni sta arrivando... Dopo un autunno strano e molto piovoso non vedo l'ora di indossare maglie pesanti, calzini caldi e morbide sciarpe e bere cioccolata calda con dolci fatti in casa. Speriamo che smetta di piovere e che arrivi il vero inverno. Ho selezionato per voi alcuni capi che mi piacciono molto, come ispirazione per i mesi freddi. Fatemi sapere quali sono i vostri preferiti! This super cute pom pom hat can be worn as a slouchy hat or a beanie, and you can customize it by choosing the color of the hat and pom pom, how cool is that? I would choose it in avocado green with a dark grey pompom. Visit Rustiknits to check out all their awesome colors! Questo carinissimo cappello si può indossare sia con bordo ripiegato che senza, ed è possibile personalizzarlo scegliendo il colore del pom pom e del cappello stesso. Io lo vorrei verde avocado con pom pom grigio scuro. Visitate il sito Rustiknits per vedere tutti i colori disponibili! I've been really into buttonless cardigans recently and this soft black number by Les Tricot is cozy and sensual at the same time. A great wardrobe staple! In questo periodo mi piacciono molto i cardigan senza bottoni. Questo morbido maglioncino di Les Tricots è comodo e sensuale allo stesso tempo. Un perfetto capo base per ogni guardaroba! These warm wonders were hand knitted in the village of Patal'enitsa, Bulgaria, using local sheep's wool and traditional knitting techniques. Blocsocks is keeping the tradition alive while providing income to local families, which I think is amazing. Besides their own website, you can also find them on Etsy and Dawanda. It's a warm sock-lovers' paradise, definitely worth checking out! Queste bellissime pantofole sono state fatte a mano nel paesino di Patal'enitsa in Bulgaria, utilizzando lana delle pecore locali e tecniche di lavorazione tradizionali. Blocsocks mantiene viva la tradizione sostenendo le famiglie locali - penso che sia una cosa molto bella. Il loro shop è un paradiso per gli amanti dei calzini caldi! Li trovate anche su Etsy e Dawanda. 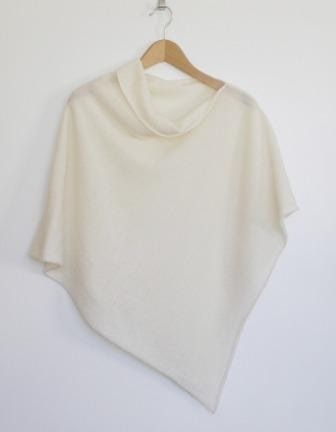 This feather-light merino lambswool poncho is delightfully warm, but it won't hide your best assets by enveloping them in layers and layers of chunky fabric. I can't even imagine how soft and comfortable it must be... It's available in a variety of colors, all lovingly handmade by Ulla of Finesse Knits. Il poncho è disponibile in diversi colori ed è fatto a mano con amore da Ulla di Finesse Knits. This Tarstitch hooded cowl in a stunning warm red color is a great accessory for cold and casual winter days, when all you want is to stay home, watch TV and drink tea, but need to go out for some reason. Love it. Questo cappuccio rosso di Tarstitch è l'accessorio perfetto per quelle giornate invernali quando uno ha voglia solo di stare a casa davanti alla tv con una tazza di thè caldo, ma comunque è costretto ad uscire... Lo adoro. I wear sweater dresses all the time during the colder months. Is there an easier outfit than a sweater dress, a pair of riding boots and a pea coat? 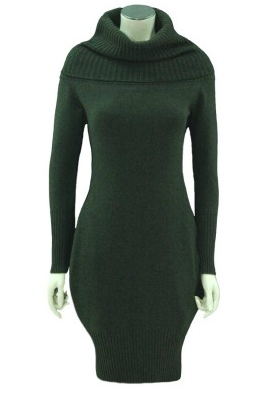 I really like this forest green number by Galvan - it's simple and elegant, perfect for every day. Indosso spessissimo gli abiti maglia nella stagione fredda. Non c'è outfit più facile che un abito così abbinato ad un paio di stivali e un cappotto. Mi piace molto questa versione verde bosco di Galvan - è semplice ed elegante, perfetto per tutti i giorni. Neutral colors are always a great choice when it comes to clothing, as far as I'm concerned. This bat wing sweater is a great low cost alternative for casual days in the city or winter weekends spent in the countryside. Penso che i colori neutri nell'abbigliamento siano sempra una scelta giusta. Questo maglione batwing è un'ottima alternativa low cost per le giornate casual in città o weekend invernali in campagna. I love three-quarter sleeves so much I even roll up my regular sleeves to obain that length... I would wear this Somers sweater with a pair of skinny jeans and boots, or with a pair of silk palazzo pants and warm wool socks at home. Mi piacciono moltissimo le maniche a tre quarti, tant'è che arriccio anche le maniche lunghe per ottenere questa lunghezza. Indosserei questo maglione di Somers con dei jeans skinny e un paio di stivali per uscire, oppure in casa con dei pantaloni palazzo e un paio di calzini di lana. While regular socks are fine, try wearing these diabetic socks for women for a better fit and comfort. It starts with the plush bottoms and flat toe seams that don't irritate your skin. Loose tops aids in improving leg circulation. These socks are made with cotton and nylon to absorb and wick away sweat. Women's diabetic socks keep your feet drier even in the most challenging conditions. 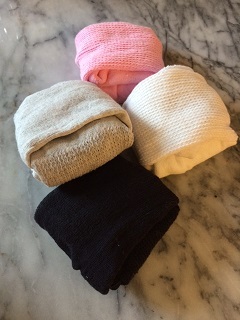 These non-binding socks are available in different colors and styles to match any outfit. So cozy!! Love those slippers! knits are my best friends during this time of the year!! :D cozy chic! I love every pieces above. And the Blocsocks are just the cutest! And the pom pom hat too! il cardigan grigio è molto carino!! 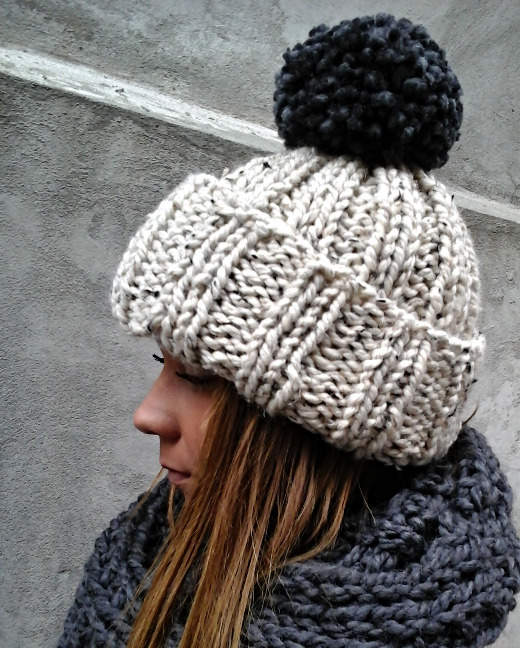 Anch'io voglio il cappello con il pon pon!!! This is a cozy warm post great selection. Devo fare scorta di cappellini! I want all of em, cos the weather here in the UK is freezing to the T!! adoro i maglioncini morcidi e caldi, quello con le maniche a tre quarti è stupendo!!! Sweater weather is the BEST! mi piacciono molto questi abiti maglia! 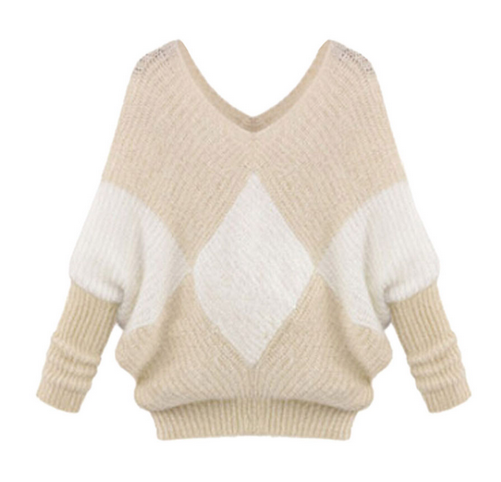 I adore chunky knits! This has me inspired to get cozy with my outfits, thanks luv. I love all of your choices! I wish we were still waiting for the winter here in England! I hate the cold! Great selection. Love the sweaters! Great picks! I love it. I like some pieces and saw a lot of items for gifts! Thanks for share! Cute inspiration and selection. I love your choices for winter apparel and accessories! Awesome stuff! Anche a me piacciono molto le maniche a tre quarti. Everything here looks completely perfect for winter. I like the red scarf the most :) Enjoy the holidays! Oooh why does it have to be going into summer where I live? I want sweater weather! The bat wing sweater is my absolute favourite, hands down. That is so stunning! Thank you for the inspo! Love the beanie. Bellissimo il maxi dress in maglia verde..
bellissime proposte, non conoscevo il sito! I really want those knitted shoes! Adorable. Bella selezione, adoro le cose di maglia! cool post, I love the selection espacially the green dress, this kind of green is amazing! I love your cozy picks. The grey cardigan is my favorite! Wish it were mine already! Adoro poncho, scaldacollo e maglioncini!! bella selezione i maglioncini li adoro! Che belle idee!!! Il cappello è stupendo! winter looks are my total fav! Ciao carissima! Io sono molto freddolosa e quindi questi capi in morbida lana mi accompagnano per tutto l'inverno! Your picks are always so drool-worthy, dear Anett, that making your readers choose a favourite is kinda cruel!! 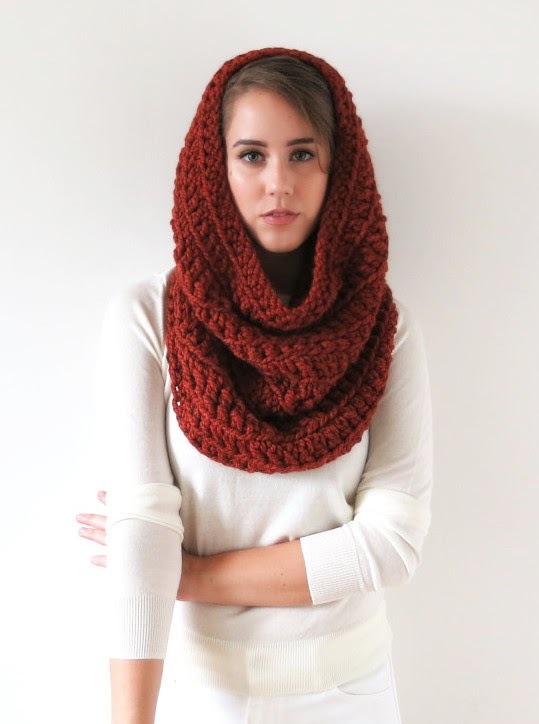 ;) But the chunky deep-red cowl is incredible...and I could totally see myself wearing that slouchy, white and beige sweater. P.S. Maybe with one of those pompom beanies? !